This English Bulldog nicknamed Terra sold and went to a new family. This is Terra! Isn't she gorgeous? She's a beautiful red little girl with beautiful white markings! She's just so CUTE! She would make a perfect addition to your family! Who can resist this precious face! Her pictures say it all. Her well known father is our famous The Master's Touch!. These pictures were taken 11/18/2017 at 6 weeks of age. Look at that huge face and rope! Terra is ready for her new December 8th. She's just too beautiful to pass up! Terra and her litter mates are all outstanding to say the least! 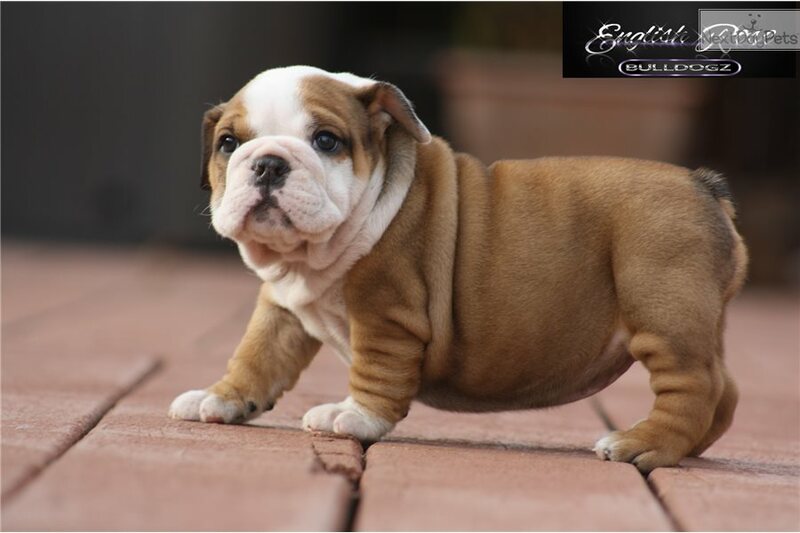 Don't miss out an absolutely fantastic opportunity to own one of the finest English Bulldog pups around! These puppies have beautiful round heads, nice open nostrils and maintenance free tails! Shipping is also available for an additional $350. We use ONLY United Airline's climate controlled "Pet-safe" program now for the safety and health of your new puppy! 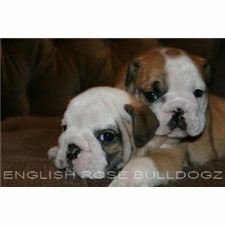 Check out our puppies on my website at www.englishrosebulldogz.com and see these gorgeous puppies. 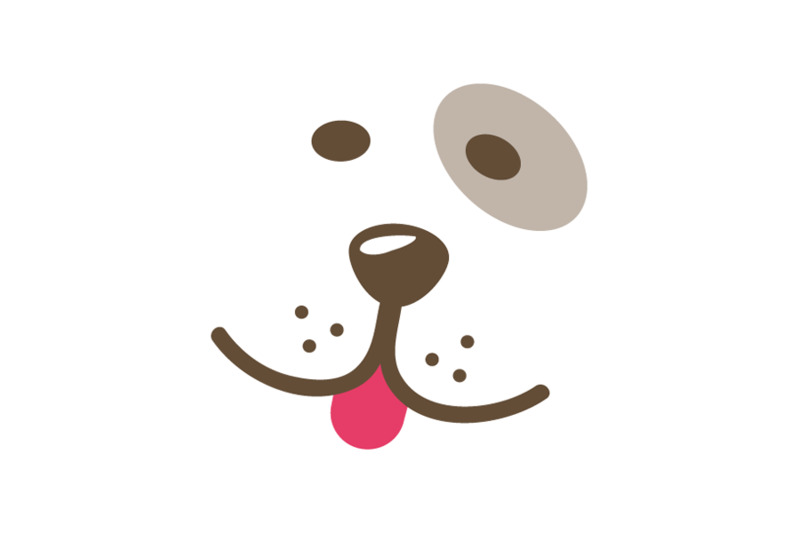 Visit our gallery page to see some of our pups and what we produce! English Rose Bulldogz is NE Oklahoma's #1 REPUTABLE breeder. We are a small breeder that strives to breed ONLY top quality, healthy pups. Our puppies come with a FULL AKC registration (beware of ACA or CKC registrations as this possibly means the breeder has violated the rules of AKC and have been banned), shots and wormings, microchip, and a VALID original health certificate. Most of all, we are HERE FOR YOU long after your puppy purchase from us. We ask for payment in PAYPAL ONLY so YOU are protected! Our goal is for you to feel safe and secure with your puppy purchase from us! We have numerous references also! Contact me at 918-798-5931 or by email! I am here for YOU!